Welcome to the New Evansville Homes Website! We’re excited to welcome you to the new Evansville Homes website! As the local authority for all Evansville homes for sale, we’re committed to serving the community by offering free information on the latest homes for sale by local agents. We invite you to browse the new website and create your own Property Organizer account to save your favorite homes for sale. Check out some of the newest features you’ll find on Evansville Homes below. The new Evansville Homes website is for anyone looking to buy or sell a home in Evansville. As soon as you visit our new site, you’ll notice easily-navigable options for buying or selling your home. By clicking on “Sell Your Home,” you’ll be redirected to our Seller Profile form where you’ll be able to enter important information about the condition and features of your home. This information will then be used to refer a real estate team to you that can help provide an accurate value estimation of your home and get you started on the selling process. By clicking “Search for Homes,” you’ll be redirected to our detailed search form where you can set up your home search parameters. Tired of seeing old and outdated information on major home search sites? Not to worry; the new Evansville Homes website provides only the most accurate and updated home search information available. By applying your home parmeters filters, you’ll see all Evansville homes for sale that match your search criteria, along with a variety of information and opportunities to contact an agent to let you know more about the home you’re interested in. Below these two home page options, you’ll also find a map of the local area that displays a selection of homes for sale. Underneath this map is also a small selection of “Featured Properties,” complete with a button to “View All” featured properties. As mentioned above, you can search all Evansville homes for sale that meet your specific criteria on the new Evansville Homes website by using our search form. Looking for even more filter options? Click “More Search Options” at the bottom right of the form and you’ll be redirected to our advanced search form. Here you will find even more criteria selectors, such as school district, number of fireplaces, minimum lot area, minimum year built, and many more. After applying your search filters, you’ll be greeted with a selection of homes that all match your search criteria. By clicking on one of these properties, you’ll immediately see all the available information on that home. Pictures of the home can be found at the top, while information such as the property description, number of bedrooms and bathrooms, features and amenities, a local map, school report, and even more can all be found below. You’ll also see options at the top of the page to request information about that listing or schedule a tour of the home. Next to those buttons at the top is also a “Save to Favorites” button which we’ll discuss further below. Don’t forget about the Contact an Agent section on the sidebar (desktop) or below (mobile) if you have any questions, too. You can also browse Evansville homes for sale by subdivision by clicking on “Subdivisions” in the navigation menu. This will take you to a page comprised of popular Evansville subdivisions. Clicking on one of these subdivision names will then display all listed homes for sale in that subdivision. Looking for upcoming Open Houses? Click on “Open Homes” at the top and your page will refresh to show you a list of homes with a scheduled Open House on the coming weekend as well as their Open House date and times. If you’re just interested in finding some market statistics for a specific subdivision, we’ve got you covered. Click on “Market Report” at the top of the page and you’ll quickly see recent data for that subdivision. Statistics such as median price, median days listed, and current inventory can help you as a buyer get a feel for the types of homes for sale in that subdivision. As a seller, this information can help you decide if now is a good time to sell. Underneath that information you’ll find a list of the newest listings (last 30 days) in that subdivision as well as a link to view all active listings. Don’t see your preferred subdivision? No problem. Back on the main Subdivision page, scroll to the bottom and you’ll see a button to “See More Subdivisions.” After clicking this button, you’ll be redirected to a master list of all recorded subdivisions found in Evansville. Click on any subdivision link to be sent to a page with all the features discussed above. One of the most helpful features of the new Evansville Homes website is the ability to save your favorite homes for later viewing. When you first visit the page, you’ll notice the navigational tab labeled “My Favorites.” By clicking this, you’ll be sent to a page where you’ll be able to create an Evansville Homes user account. After submitting the necessary information and creating your account, you’ll now see options to modify any account settings, as well as three buttons at the top. “My Listings” is where your favorite listings will appear. To save a property to your favorites, click the purple button labeled “Save to Favorites” at the top of any single property page. On the My Favorites page, you’ll also be able to view your saved searches by selecting “My Searches.” You can save a custom search by first choosing all your search criteria in our search form and then applying those settings. 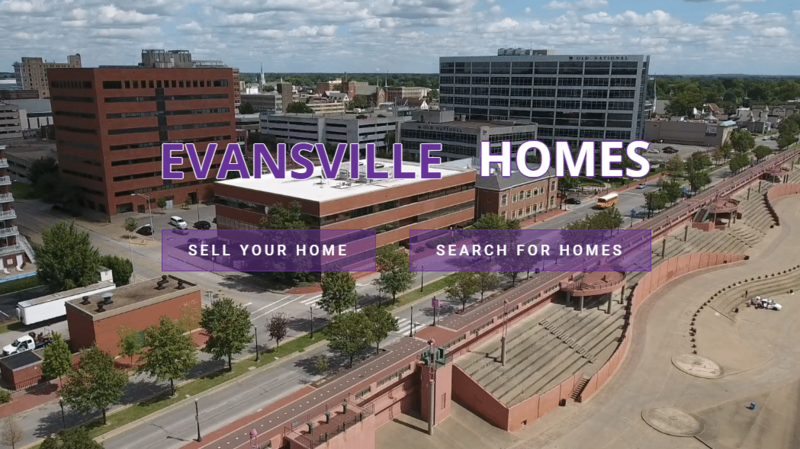 On the search results page, you’ll see a purple button with a star at the top that says “Save This Search.” Selecting this will save that customized search to your Evansville Homes account. Back on the “My Searches” tab of your account, your saved searches will appear below. If you ever want to change any parameters or notification settings for a specific search, click on “Edit,” or delete the search by selecting “Delete.” When you choose to edit your saved search, you will see a screen that looks similar to the standard search form. You can edit your search parameters here, choose the frequency at which you’ll receive emails about this search (newly listed homes, price changes, etc. ), and there’s even an option to give your tailored search a custom name. Just click the “Save” button at the bottom to save your changes for that search. As part of our commitment to keep the Evansville area informed about homes for sale and the current climate of the local real estate market, the new Evansville Homes website will be maintaining a blog to distribute information about specific homes, market data, home buying and selling tips and tactics, as well as general information about how new changes in the real estate industry will affect you as a consumer. Check back weekly for new blog posts, or browse through our blog archives to see posts we’ve made in the past. Users are encouraged to engage and comment on our posts using the comment section below each blog. If you aren’t already logged in to your Evansville Homes account, you’ll be asked to before you’re able to post a comment. The new Evansville Homes website isn’t the only new development we’re excited to announce! We’ve also made changes to our social presence on Facebook. If you’re not already a follower of the Evansville Homes business page, we encourage you to login to Facebook and like our page. From here you’ll be able to see our two new Facebook groups: Evansville Homes and Evansville Open Houses. 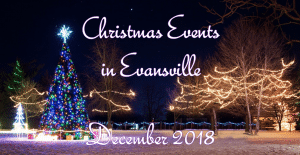 The Evansville Homes group is another free forum for home owners to post their homes for sale by owner and for buyers to browse homes for sale. There will also be homes posted that are listed by area real estate agents. Join the Evansville Homes group today to see these homes before the rest of the public. The Evansville Open Houses group works in a similar way, but it is intended to list all the upcoming Open Houses for the coming weekend. Check back weekly for a revolving pinned post that leads to a complete list of all upcoming Open Houses. We’re excited to launch these news platforms for local home buyers and sellers, especially the new Evansville Homes website. Evansville Homes is committed to being the local authority on real estate that you can trust and visit to learn everything you need about local homes for sale in Evansville. Check back frequently for new updates, new features, new content, and friendly, helpful information!